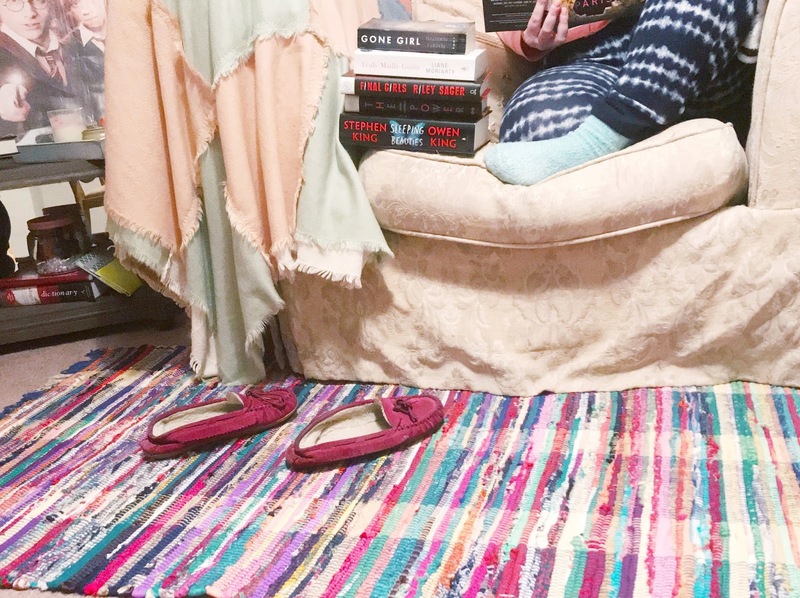 One of my major home goals is to have an amazing reading nook. I've got a few of the key ingredients so far, but it's a matter of throwing them all together. For example, I have this awesome comfy chair upstairs that's great for reading in, but somehow, I always just end up on the living room couch. 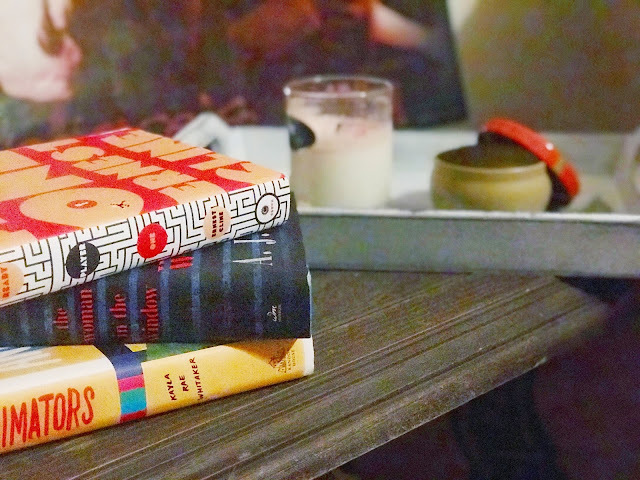 I've got beau coups of books and bookshelves in the living room, but I'd ultimately love them all to be together in a specified reading area. Right? So, here are the ten things I'm lusting after for the perfect nook, and by golly, one day I will have it. Shelves upon shelves upon shelves. 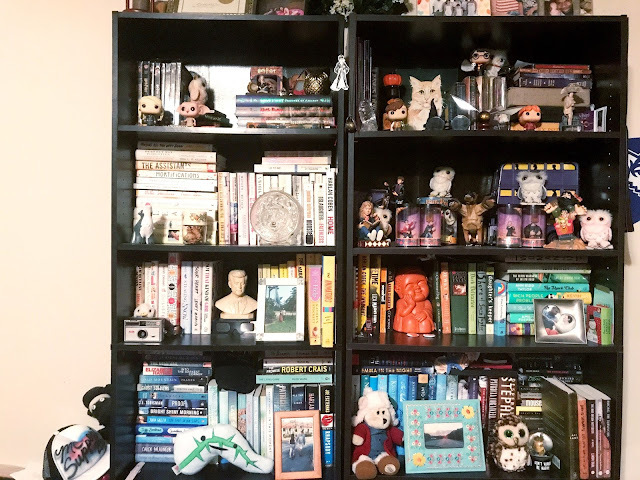 Ultimately, I'd love a full wall of shelves, plus a fun book cart (like at the library) to throw books on that are the next ones on my TBR list. I'll kill a plant fast, even succulents. It's the most pitiful thing. But I would love to have tons of real plants that bring life into the nook. Unfortunately, I'd probably end up with faux ones just for a fun look. 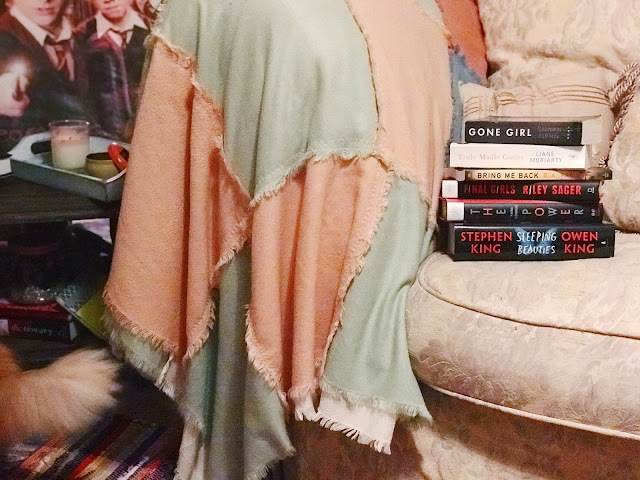 A big comfy chair is the best (and I really need to use the one I have), but cushions are also a fun option, especially in a fun little crevice in a corner. Either way, lots of comfy to lounge around in is basically a requirement. 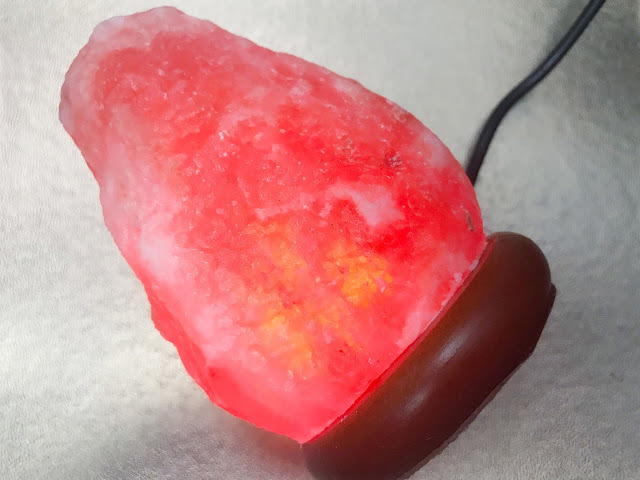 I have a salt-stone on my desk and I love it so much. They're natural air purifiers and can help with some minor ailments, like headaches. 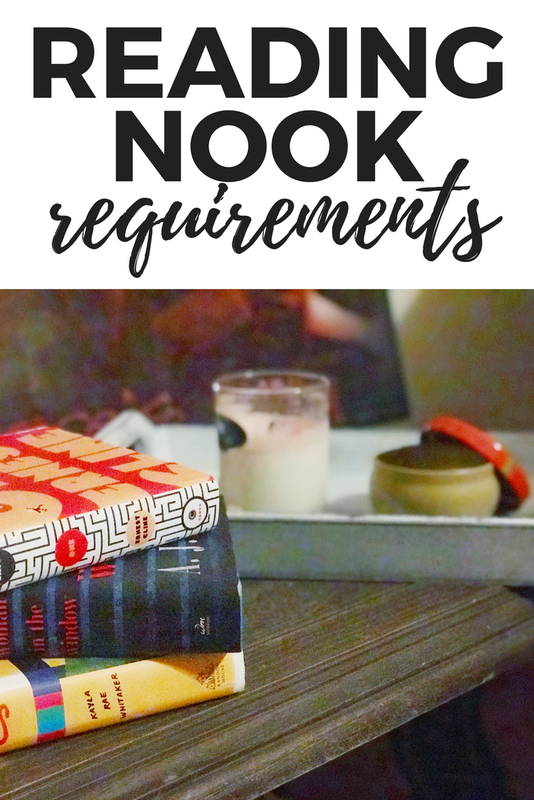 I'd love a much larger one for my nook, plus other fun lamps and lighting to set the mood. Oil diffusers have been around for quiet some time, but lately, more and more people are hopping on the train - myself included. I love the calming smells and the benefits associated with essential oils and difussers. Unfortunately, I recently read that tea tree oils are toxic to cats and it's advised to not diffuse oils around your kitties - so I keep mine in the office. But I do love all the smell good things, especially in nature-related scents. Table space is a total yes, because we all definitely need somewhere to sit snacks and drinks, lamps, or lay down your book (if you ever need to do so). It's important to be in a super comfy environment, because there's a high chance you may not be moving for a while. I end up with a ton of pain in my legs if I sit cross-legged for a while, so having a place to stretch my legs is definitely a plus. My favorite type of environment is one that's a bit chilly so I can throw on some fuzzy socks and cuddle up in a warm blanket. Scroll back to that comfy cushions sections - throw pillows are a great accent to make your reading nook even more YOU. The worst thing, though, is that a lot of these items can super pricey. I talk a bit about how cheap I am, because I HATE SPENDING MONEY! I want things, but hardly want to buy them - so I'm always looking for the best deal I can find. I'm always seeking out great finds at thrift stores and yard sales, or online groups where people sell things. I WILL FIND A GOOD DEAL. Another options, when it comes to things like ottoman, throws, or pillows is simply making your own! That way you can get the perfect size and pattern (or lack there-of). When you make it yourself, it's entirely up to you. Whether you'd like to sew by hand or with a machine, SewingMachine can help with all your needs! With two locations, in Atlanta and West Point, you can visit a brick and mortar store or shop straight online at SewingMachine.com. 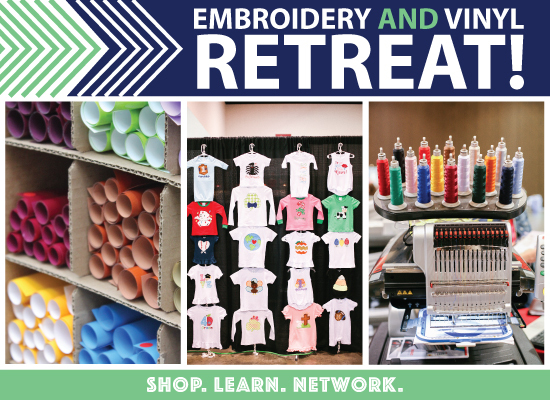 If you're looking for a more personalized ottoman, throw, or pillow, they even have an upcoming embroidery retreat at Callaway Gardens (which is beautiful, by the way). 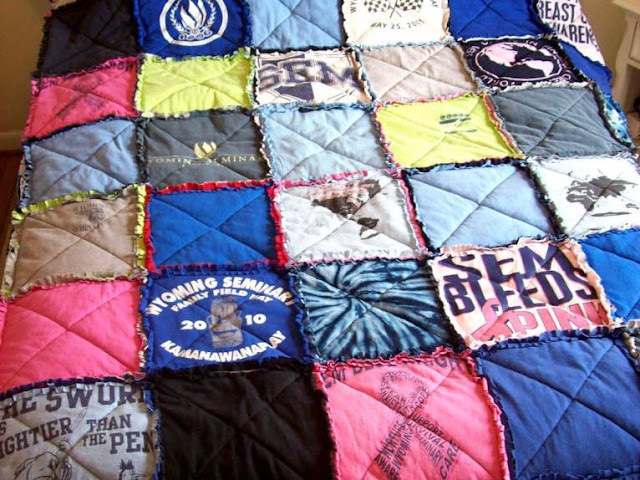 And if you're a complete novice like me and in the area, you can check out their classes to learn all sorts of things (right now, there's a really neat class that teaches you how to make a t-shirt quilt!). What are your reading nook requirements? I have received payment or product in exchange for this post, however, all opinions, as always, are 100% my own. I totally agree - they really do bring the room to life. So many great ideas! I dream of having a full wall of shelves for books too-- and love the idea of a book cart for what you want to read next. Yes! I'm hoping to find a cart eventually that's not too expensive. They can be pretty pricey.